I love fish, but when I first came to live in Australia it took me a while to know which fish I would love to cook with as my husband doesn’t eat fish so he couldn’t help much. In Thailand we usually have fresh water fish. It is easy to find them in the rivers that run through every town, but here in Australia most of the fish are sold in seafood shops. I have tried many kinds of fish already, but the fish I use the most are snapper, Spanish mackerel and barramundi. I usually buy Spanish mackerel cutlets, and I love to fry them and top with fish sauce and sometimes make a green mango salad to serve alongside. 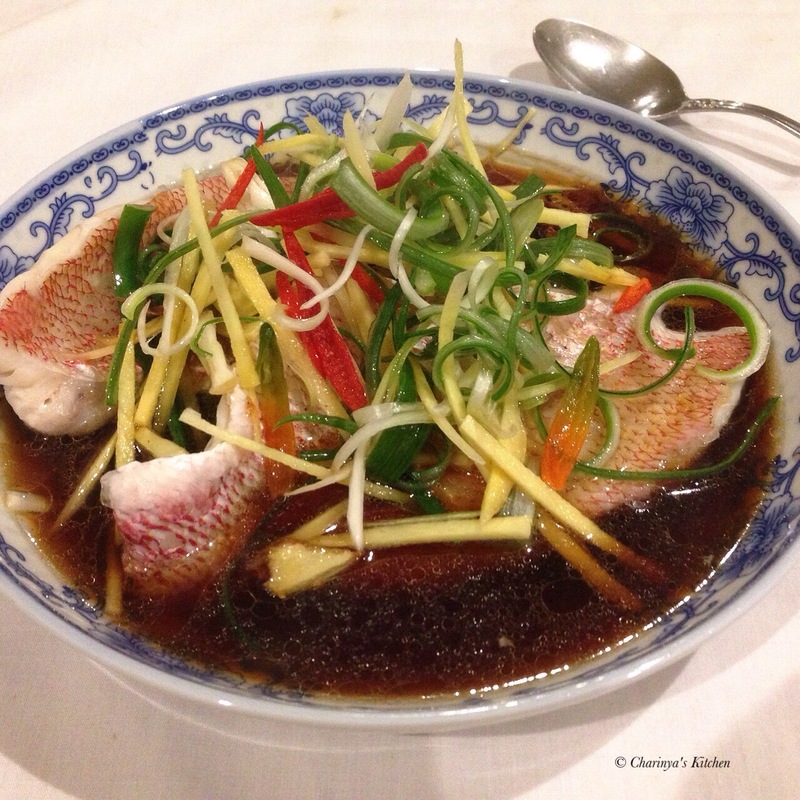 Barramundi is a delightful protein in “Tom Yum soup” both grilled or steamed. Today I would like to present one of my preferred ways of cooking the fish. 2. Steam the fish in the steamer, with the time depending on the fish and the portion size. 3.Put the fish on the serving plate. Top with sliced onions, chilli and ginger. 4. Heat vegetables oil and sesame oil in a wok until hot then pour over the fish. 5. Using the same wok add stock, soy sauce, sugar and Chinese coking wine. Bring to the boil and adjust the taste as desired. Pour the sauce on the fish and it is ready to serve. Nice and concise cooking video. Thanks for an awesome recipe.